Amber: After Chasing Power do you have any more upcoming projects we can look forward to? Sarah Beth Durst: Yes, I'm working on a middle-grade novel called The Girl Who Could Not Dream. It's about a girl whose family owns a secret store where they buy, bottle, and sell dreams, but who can't have any of her own, and the adventure that she and her pet monster go on when someone starts kidnapping dreamers. It will be coming out in fall 2015 from HMH/Clarion Books. I'm really, really excited about it! Especially about the pet monster. Amber: What do you normally snack on when reading or writing? Amber: When and how did you decide you wanted to be an author when you grew up? Sarah Beth Durst: I actually remember the moment vividly. I was ten years old, and I was worrying about my future. I didn't have a career goal, and, given that I was already double-digits, this was deeply concerning to my overly anxious self. So I asked my dad what he thought I should be when I grow up. And he said, "Well, you're creative. You could be an artist or an interior designer or a writer or an investment banker..." I stopped listening at the word "writer." You see, I'd always loved books, but until that moment, it simply hadn't occurred to me that an ordinary person could become a writer. I think I'd assumed they sprung fully formed out of sea foam. Amber: What are the hardest and best things about being an author? Sarah Beth Durst: Best thing about being a writer is writing. Playing with words, breathing to life characters, immersing yourself in other worlds... I love it. Hardest thing about being a writer is trusting yourself. It's so easy to let that overly critical voice take over and talk you out of taking risks with your words. You have to find ways to shut that voice off so you can get the work done. Bribing the voice with chocolate can help. Amber: Do you have a specific place you write like a favorite chair or home office? Sarah Beth Durst: I wish I were one of those writers who could write in romantic, writerly places like cliffs overlooking oceans or dark, atmospheric cafes. But truthfully, I write best at my ordinary desk in my ordinary chair, with snacks. Amber: Do you listen to music or watch TV while writing? Sarah Beth Durst: I listen to music. You know what I said earlier about shutting off that inner voice? Not the helpful inner voice, but the one that sounds like your Great Aunt Louise, telling you to quit eating those donuts and stand up straight. Well, I've found that listening to music helps quiet that voice. I guess Great Aunt Louise likes music. Amber: What do you like to do when not writing? Sarah Beth Durst: Spend time with my family. Eating is fun too. Someday, it might be nice to sleep for a full night. I've heard that's lovely. Amber: Do you have a set writing schedule - like do you write for x hours a day or start writing at x time? Sarah Beth Durst: I write as often as I can. I don't really set specific times or hours, but I do track how much I write every day. I've found that tracking my progress helps keep me accountable. I highly recommend it. You don't even need to be fancy about it. I just jot down what page I start at and what page I stop at each day. Helps me monitor my pace. Amber: What are you currently reading? Sarah Beth Durst: I am currently reading Blood Red by Mercedes Lackey. Very cool. Little Red Riding Hood as a monster hunter. I love Mercedes Lackey's books -- she writes a lot about strong women who triumph against the odds, and I adore that kind of story. Amber: What is your favorite book? Sarah Beth Durst: Can I pick a few? Beauty by Robin McKinley, The Blue Sword also by Robin McKinley, Wild Magic by Tamora Pierce, The Belgariad by David Eddings, Dragonsinger by Anne McCaffrey, Deep Wizardry by Diane Duane, and Dreams Underfoot by Charles De Lint. Amber: Who is your favorite author? Sarah Beth Durst: Tamora Pierce. She's one of those authors who levels up the awesome with each chapter. Amber: What is your favorite movie? Sarah Beth Durst: You mean besides Star Wars? Because that's really the only answer. I watched it at such a formative age that for me, it defines the quintessential Story-with-a-capital-S. Besides Star Wars, I also love Princess Bride, Labyrinth, and Dark Crystal. Amber: What is your favorite TV show? Amber: Is there anything you wish that your fans knew about you that isn't normally including in the bios on your books, website, Goodreads? Sarah Beth Durst: I hope my readers know how very grateful I am to them. Thank you for stepping into these worlds and sharing these adventures with me! I think you are awesome! Amber:Thank you again for allowing me to interview you! Sarah Beth Durst is the author of eight fantasy novels for teens and adults. 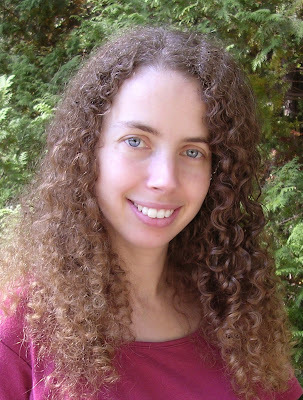 Her YA titles include Conjured, Vessel, Drink Slay Love, Enchanted Ivy, Ice, Out of the Wild, and Into the Wild. Her first book for adults, The Lost, came out in June 2014 from Harlequin/Mira, and her next book for teens, Chasing Power, comes out in October 2014 from Bloomsbury. She was awarded the 2013 Mythopoeic Fantasy Award for Children's Literature and has been a finalist for SFWA's Andre Norton Award three times. Sarah was born in Northboro, Massachusetts, a small town that later became the setting for her debut novel. At the age of ten, she decided she wanted to be a writer. (Before that, she wanted to be Wonder Woman, except with real flying ability instead of an invisible jet. She also would have accepted a career as a unicorn princess.) And she began writing fantasy stories. She attended Princeton University, where she spent four years studying English, writing about dragons, and wondering what the campus gargoyles would say if they could talk. Sarah lives in Stony Brook, New York, with her husband and two children.